Hi there! Thanks for stopping in! Food. Love it, eat it, cook it, plate it, read it, dream it. My Kitchen Love is my space to share this joy with you. I started this food blog as a creative outlet to share what is inspiring me in the kitchen while my twin babies were sleeping. As my family has grown and expanded, so has this blog and I can’t wait to hear what you think. Somethings about me that you might be interested in … My name is Samantha Dawn Gutmanis. I go by Samantha, Sam, hey you, and many other things except for Sammy, which I have always disliked. I believe salad should be an almost daily occurrence to be followed up with indulgent treats. All this eating is usually (somewhat) balanced with running. I hit the pavement multiple times per week and have for almost two decades now. I’m lucky to live in Vancouver, BC surrounded by inspiring food enthusiasts and breathtaking scenery to burn these accumulating calories. 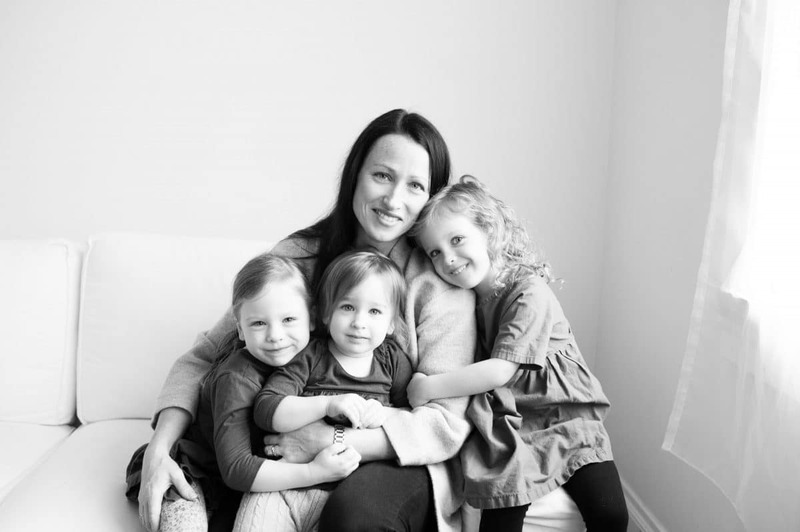 I have my very own crew of taste testers: my enthusiastic, if messy toddler twins Z & I, our youngest L, and my protein-loving husband G. The various food demands that surround me have pushed me to lead our food life more simply, nutritious, and deliciously. Life’s not perfect and any recipe or photo that reaches you has struck a cord with me. Life’s big celebrations and humble everyday moments often revolve around food, and it brings me much joy to cook for these occasions. I may be covered in baby purée or unwinding with a glass of wine (or possibly both), but it’s a good day when food, family, and friends intersect.